online real estate management system project is software designed for new real estate consultants , who recently engaged in site distribution .They purchase the land recently and covert that into the site . To manage this whole process this software is developed. In the traditional system the staff carries out all the work to manually. All the data and records are stored manually in the files. At the end of the day all of the sales and purchase records entries are made manually. Big and large registers are maintained for every transaction. All the details have are to be maintained minutely to the report and have to be taken care of manual errors. Customer and supplier done the validations manually. Generation of bills, reports, invoice have to be done manually. 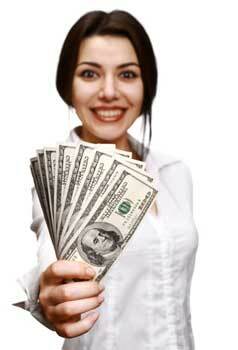 In short we can say that a lot of the paper work is also maintained to the every transaction. By Using the online real estate management system project report , you can solve all this problems very easily and efficiently. GUI : The proposed system provides better graphical user interface. Search: Searching of the product, Sales, Supplier, Job Process details becomes comparatively easy. Increase work Speed: Due to the automation of part of the system work speed will increase. Less Paperwork: For the proposed system less paper work is to be required. Reduce Error: Due to computerized there are less possibilities of error. Economical: Due to the minimal errors and also the work delay proposed system can be economically to the company. We will provide here the online real estate management system project in php free download and real estate management system project documentation. It is free of cost. You doesn’t need to pay money for getting this project. You can use this project as of your final year project for submission. We have aso provide here the knowledge or contents or the description of about the project. Using this you will get all the idea about how to implement the given project using PHP .